Problem Description Purple colour body with five longitudinal white waxy ridges on dorsal side. Adult mites are very small and spindle shaped. Purple colour body with five longitudinal white waxy ridges on dorsal side. These mites are mostly prevalent on the under surface of mature leaves through they are not uncommon on the upper leaf surface or the tender foliage. 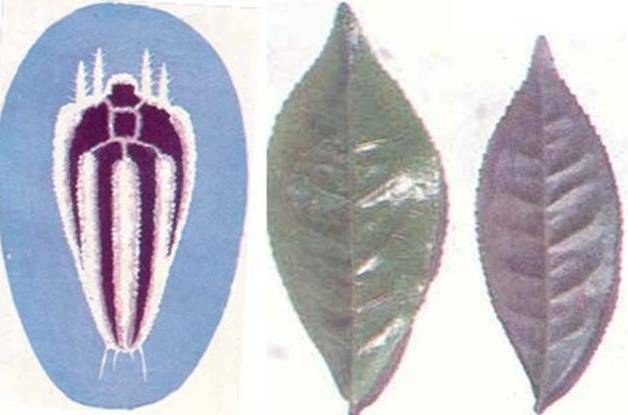 Eggs are sub hemispherical almost transparent and are laid singly on the under surface of leaves.